Cummins. Since 1989, that company name has been synonymous with diesel-powered Dodge and Ram pickups. 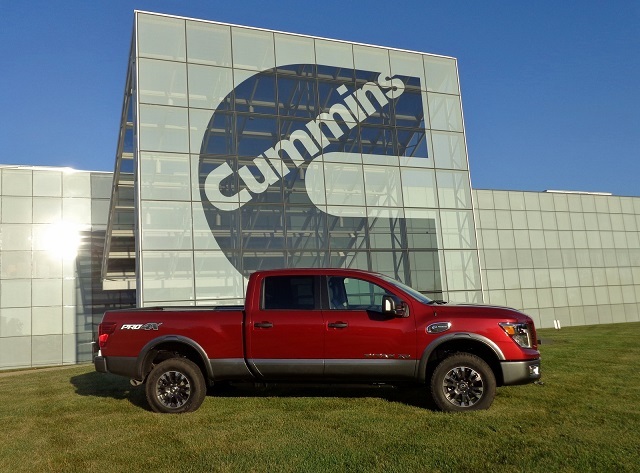 It still is, but now Cummins can be associated with another automotive manufacturer: Nissan. From the front, the headlights and grill look even more so. I still think FCA missed the boat on this one. Cummins actually had an agreement with Cerberus/Chrysler on this engine but when Fiat bought, owning half of VM Motori (which they now wholly own) they had access to their own 3.0. Not near the horses or torque, but better fuel economy numbers. Kind of bad timing for Nissan with all the bad press diesel is getting. Hey I was wondering what the missing link is? And where can I get it? I'm boosting my 02 RT and I'm trying to go off of your list.